With spring in full swing, it’s the perfect time to talk landscaping. A few bushes and some pretty flowers can up any home’s curbside appeal. But why do the bare minimum, when you can opt for fabulous? 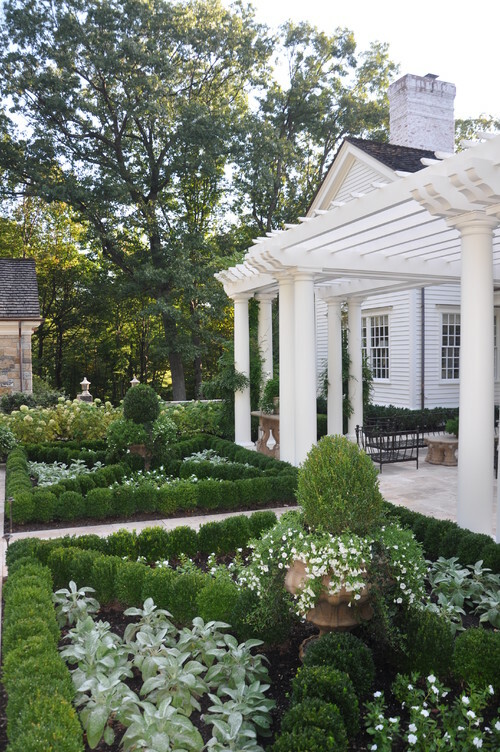 There are many ways to celebrate the beauty of nature with a show-stopping front or backyard. As a bonus, if you opt to use plants that are native to your region, you’ll also be creating an outdoor wonderland that’s eco-friendly. Wild front or backyards aren’t for the faint of heart. Modeled after the traditional English garden, these designs feature a seemingly unplanned hodge-podge of flowers, tall grasses and ivy. 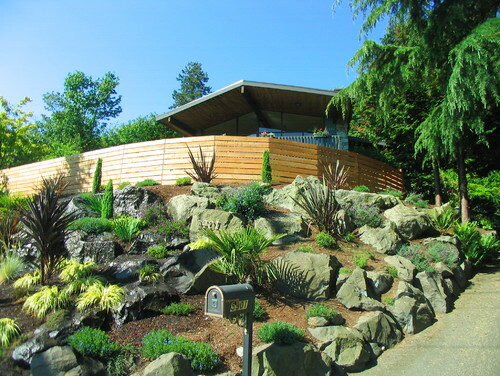 Don’t be fooled, this style of landscaping takes careful planning and maintenance, especially in areas where the plant life used to create this look isn’t native. The results though, are a yard that’s utterly romantic with a hint of mystery. While abundant plant life is a necessity to any grand landscaping plan, rocks are a great feature to incorporate as well. Big or small, this natural element can be used to create borders, paths, architectural elements, or even as backdrops to a grand waterfall. Rocks and stones are also useful in disguising areas where the soil isn’t rich enough for plant growth. Take inspiration from gardens on the other side of the globe. 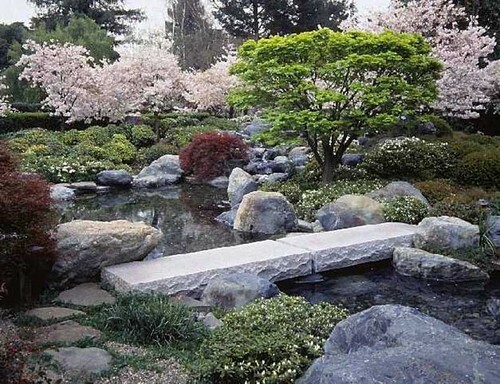 The Japanese garden is known for being lush, serene and a great place for reflection. Dating back at least to 592 AD, these gardens can be both minimalist and over-the-top, and typically feature a mix of winding paths, lush plant life, hills, waterfalls and even small structures like bridges and pagodas. Greenery is a go-to, but adding color to your yard takes it from just pretty to pretty dazzling. Indulging in a bevy of flowers not only adds a pop of color to an otherwise endless spate of green and brown, but creates a friendly, welcoming environment for friends and family. Choose to go monochromatic, or mix-and-match your floral choices. Love quirky, bohemian style? 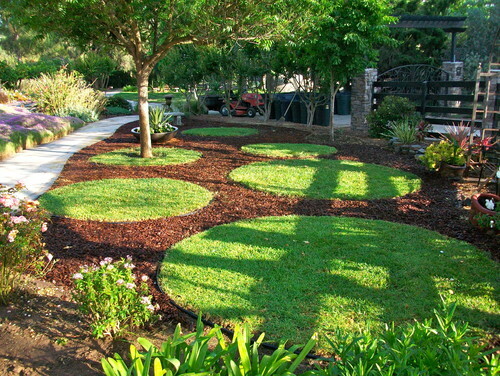 Choose landscaping that represents your left-of-center palate. Mixing and matching plants in wild shapes and styles with free-wheeling architectural pieces made from unexpected elements creates a backyard that feels more like a cool modern art exhibit than a mere outdoor area. Modern homes with clean lines and sleek edges, may want to adopt a landscape design that’s a little more manicured. Symmetrical hedges and carefully sculpted trees are both fantastic ways to create a structured looking yard that frames your house and complements its architecture. 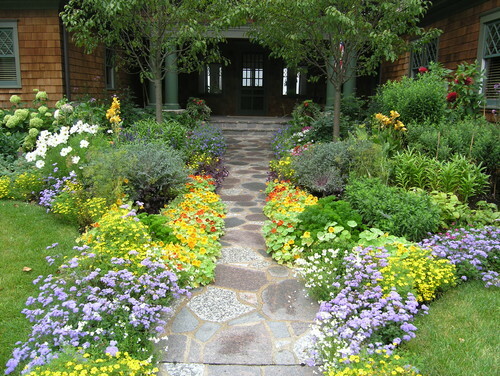 Traditional landscape design by New York landscape architect Deborah Cerbone Associates, Inc.
Ready to get started? Contact a landscape designer today.